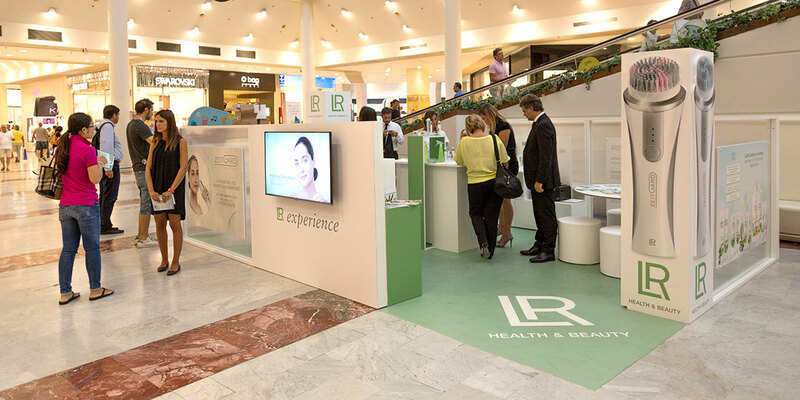 For the first time in Europe a road show for LR Health & Beauty, the direct sales company leader worldwide. 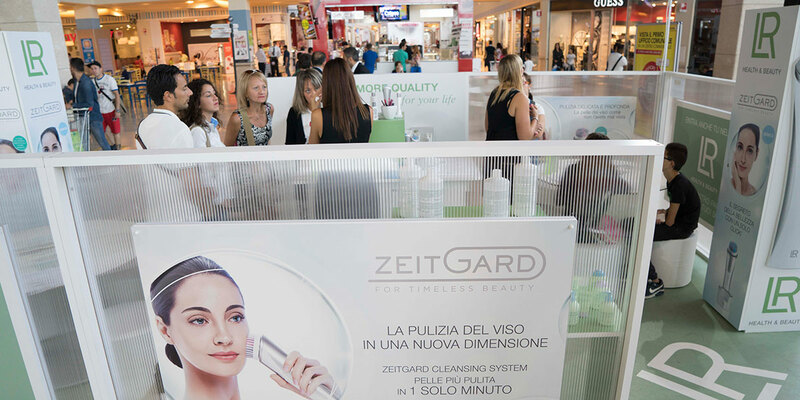 We selected the most strategic areas for both for penetration and for perspective (Milan, Turin, Florence, Naples, Catania, Palermo) and we identified touch points with high traffic: Shopping Malls Galleries. 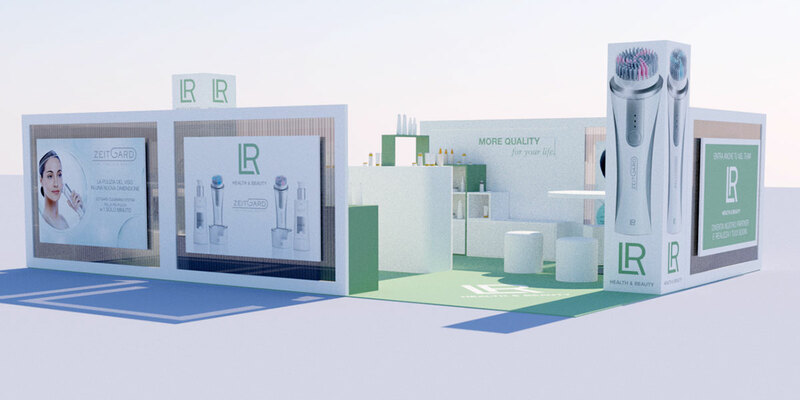 We designed and implemented an elegant Wellness Lounge, functional and comfortable, to put into contact the potential target with LR Health & Beauty world, and to present the big news - the cleansing devices Zeitgard - and all LR products. 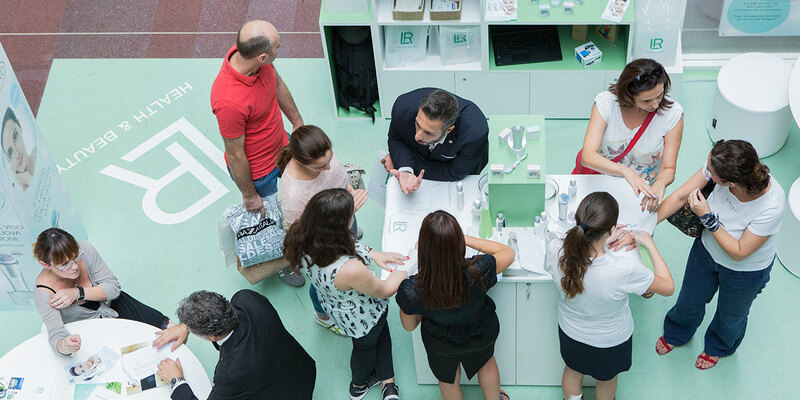 Two lounges to accommodate potential partners and share their values - transparency, fairness, quality, innovation, passion, trust, responsibility - and the innovative business model. 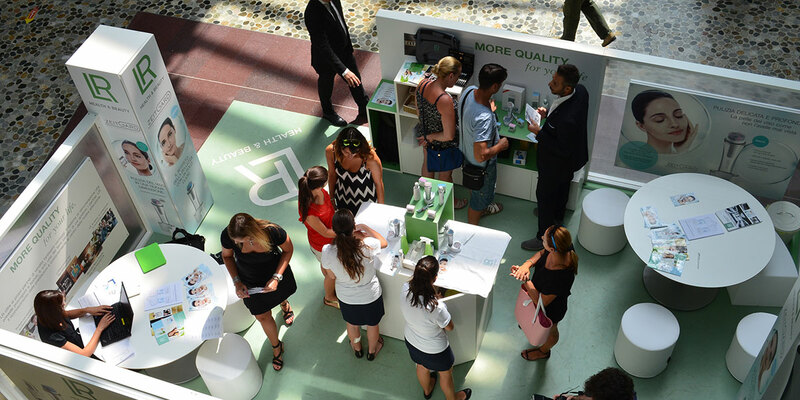 The layout, the design and technical solutions have been designed to give credibility to the brand and the products, to allow visibility from the outside, to convey a sense of pleasure and relaxation, encourage conversation and the pleasure to network with LR. 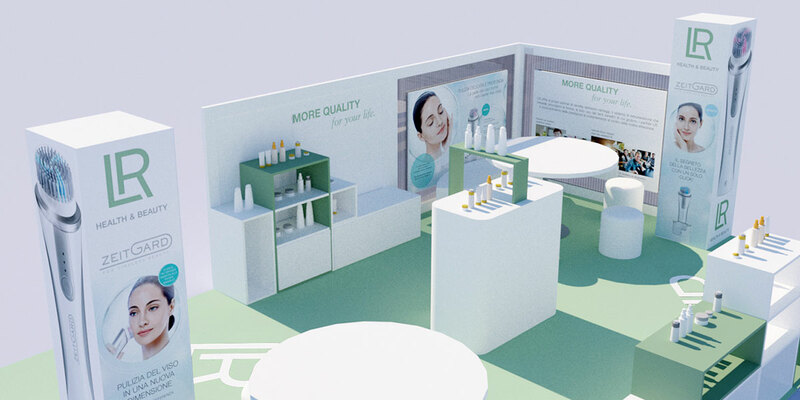 A true meeting point for health and beauty. 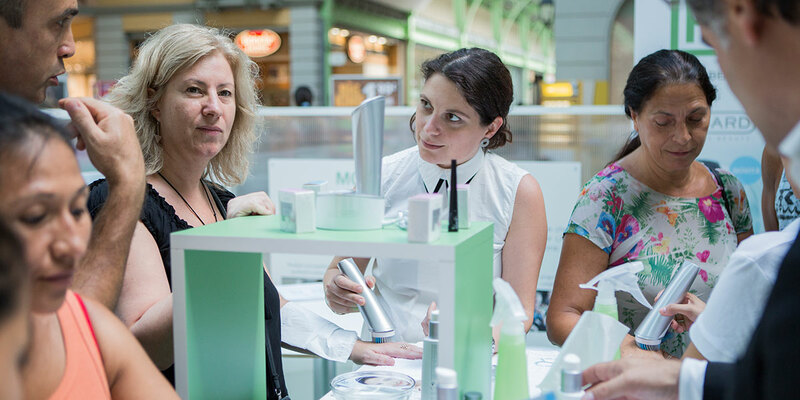 For beauty tips, product tests, information material, gifts and kindness.